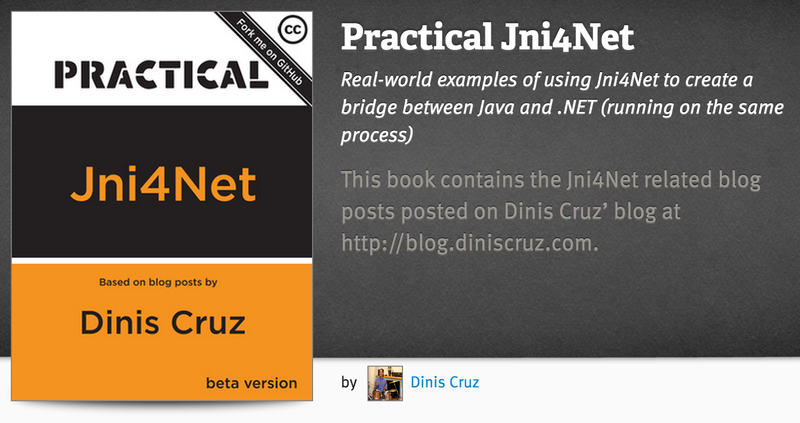 After releasing "Practical AngularJS" and Practical Git and GitHub, here is an equivalent book containing my Jni4Net related posts. 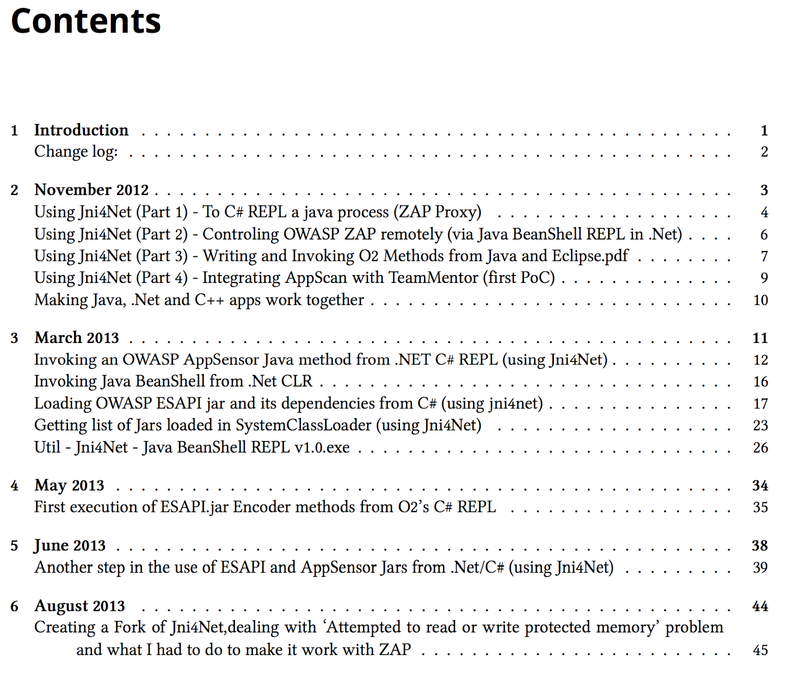 This new book has 74 pages and is made of 13 blog posts published in the last 16 months. As with the first release of the other books, I'm starting with the original chronological/published order, and will try later to figure out a better logical way to group these posts together. At the moment the book can be downloaded for free, but you can also chose to pay (which would be great, since that will help with production, design, editing and layout costs).